Well, I can tell you I am not a superstitious person. Did you know President Franklin D. Roosevelt did not travel on the thirteenth day of the month and would never host thirteen people for a dinner party? This week was a pretty good one. 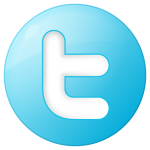 One of the projects I have been involved with is working better than anticipated. My customer is really happy. Ending the week on a good note was in the plan. 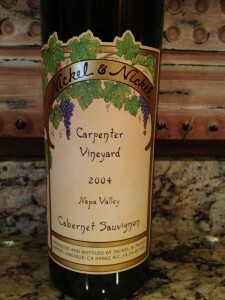 Perusing the cellar I came across a 2004 Nickel & Nickel Cabernet Sauvignon from Carpenter Vineyard. If you have never seen their label its a real work of art. I like the grape vines a top of the golden arch. It’s one of those bottles you immediately recognize. 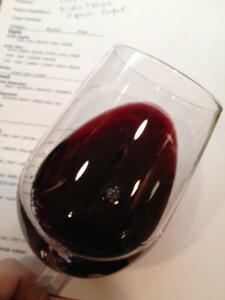 One of our very first trips to Napa we scheduled a tour and tasting at Nickel & Nickel. I would recommend the tour if you get out to Napa as it’s a beautiful Estate! As I entered the living room, Chris was on the phone. I passed the bottle in front of her and I was given the thumbs up. I knew I picked a winner. 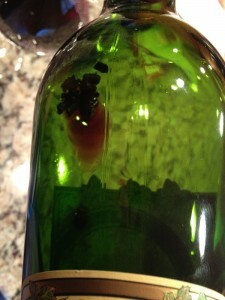 I proceeded to cut the foil and pulled the cork. 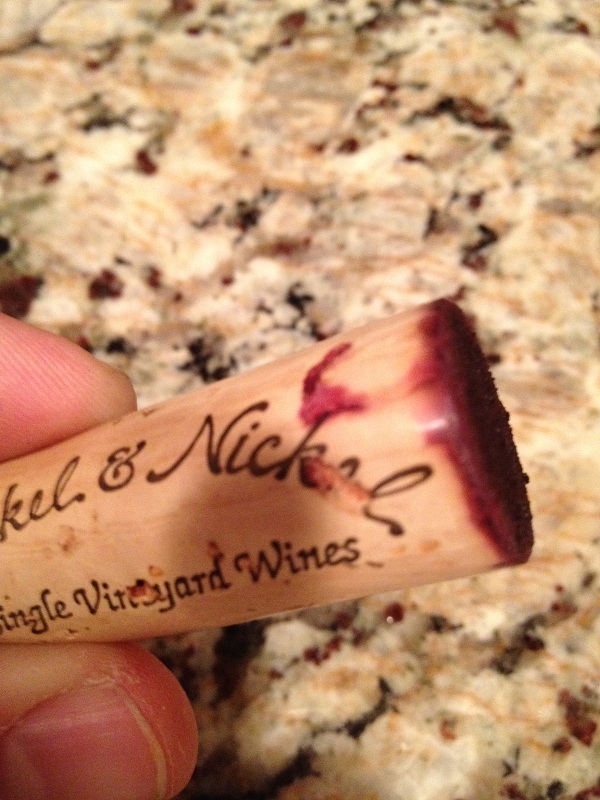 I immediately noticed quite a bit of sediment on the cork. 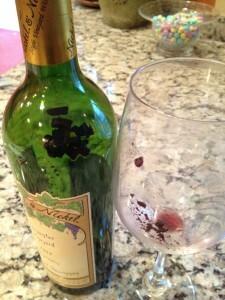 I am assuming Nickel & Nickel does not filter the sediment out of the Cabernet when they fill the bottles. 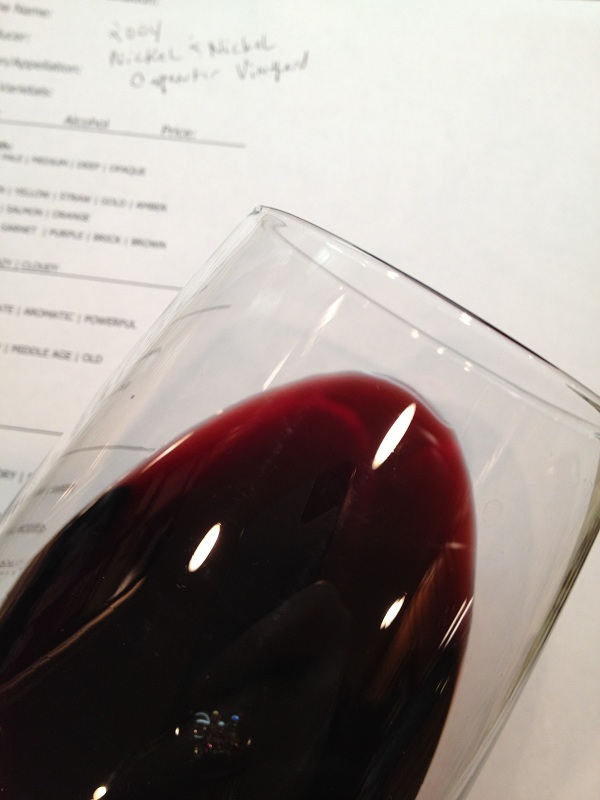 I poured the wine in both of our glasses and it was time to give it a look, smell, and taste. Viewing the wine the color depth was deep, it was not a pale looking wine. The hue was a very nice purple and the wine looked very clear not cloudy or hazy. It was time to give it a sniff. The aroma of the Nickel & Nickel was very aromatic, there was scents of Red and Black Cherry. I could smell Dark Chocolate and maybe a little Blueberry. I was looking forward to tasting the wine. After the first sniff Chris could not resist and sipped it right away. I too gave into temptation and gave the Cabernet a sip. 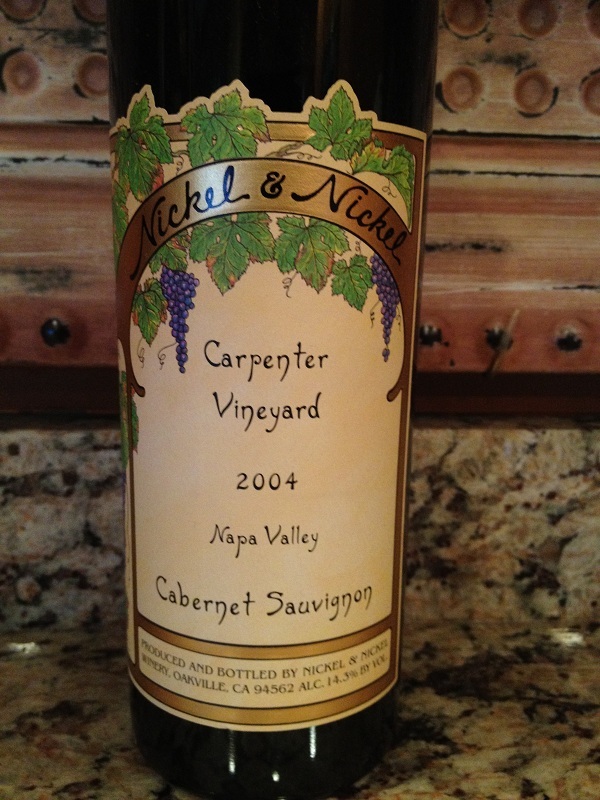 The Cabernet was medium bodied and slightly dry. The tannin’s approached my mid palate and moved towards the back of my tongue. The finish was not very long. Some of the flavors we detected were Red and Black Cherry, Blueberry and Blackberry. There was a slight hint of caramel. The wine was not very complex and was very easy to drink. As we were approaching the bottom of the wine we could tell immediately there was a lot of sediment and realized that we should have decanted the Nickel & Nickel. Chris and I both gave the Nickel & Nickel four glasses because of my previous comments. Chris mentioned we need to do a drive by in May since this was our last bottle so we can purchase a few more for the cellar.